We are proud of the successful service that we have built based on a solid commitment to solving your drain issues. No clogged drain problem is too small or too big for us. You will speak to a representative who will dispatch your call to an experienced technician that will be at your doorstep, armed with the equipment and the skill to do the job right the first time. We offer discounts up to 10% off and $50 off Camera Inspections for new home buyers. CLOGGED DRAIN? MOST HOMEOWNERS ARE NOT AWARE that the main sewer line can become clogged over the years. This clog can be due to normal blockages from everyday use or roots working there way into the pipe through small cracks or openings in the connections of where the pipes meet. Whatever the reason behind the clog, there is no question that a blocked sewer line is going to cause problems. The sewer line is what transports waste from the home to the city sewer system, so resolving the problem should be done as quickly as possible. 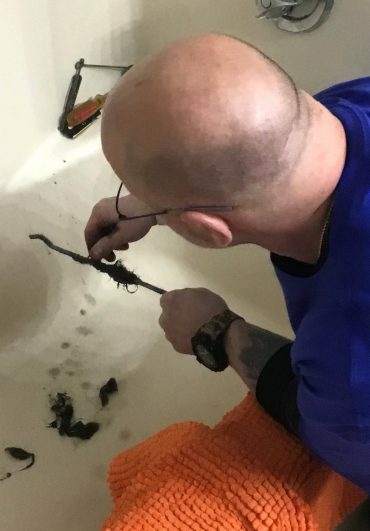 While there are a variety of products on the market designed to help residential and commercial business tackle clogged drains on their own, it is usually best to seek out professionals like Connecticut Sewer and Drain LLC. We are also affiliated with many restorations, cleaning, and pumping companies to help serve all your needs with one phone call. If you have any emergency clog need, simply call 24 hours, 7 Days a week. CT sewer & drain are simply the best! We had a mains clog in our new home and gave CT sewer and drain a call. Jeff came down and identified the issue in no time and was able to fix it and show me exactly where the clog was. I was amazed and the level of service I got with CT Sewer & Drain. I cannot recommend them higher. These guys are great! I have now had CT Sewer and Drain perform multiple jobs in my home (both drain work and plumbing installations), and each time I couldn’t be more pleased with the service and attention I’ve received from staff. They are always happy to explain any questions I might have and I find their prices to be fair. As a single woman it’s a relief to have found a company that is honest and upfront. I will definitely be calling them for any sewer or plumbing needs I may have in the future! Great experience with the team from CT Sewer & Drain! Prompt, quick assessment of issue and resolved extremely timely. I will use them with all future drain issues. At the outset in contacting Jeff and his team, due to an emergency matter that I was confronted with at my residence, his response time was extremely quick and highly efficient; provided that I was in need of his services on a national holiday - July 4th (Independence Day). The communication that he exhibited was extraordinary. He responds very quickly to text messages and phone calls. I found his skill set and expertise to be highly knowledgeable and reliable. He is definitely worth the money. In sum, I found him to be a very nice and good spirited man, and that’s just not something that is common in the society that we live in today. We offer a variety of clog clearing services so just ask! 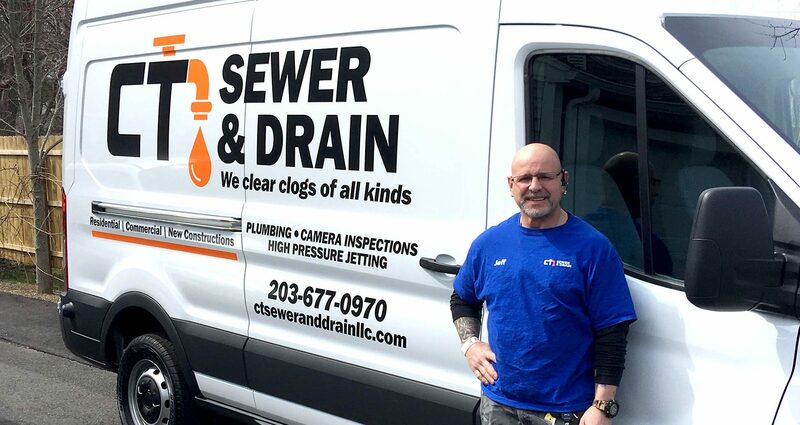 The techs at Connecticut Sewer & Drain LLC have been working in the sewer and drain industry since 2002. We have cleared all kinds of clogs for our residential and commercial customers in Connecticut. Ansonia, Beacon Falls, Bethany, Branford, Cheshire, Derby, East Haven, Guilford, Hamden, Madison, Meriden, Middlebury, Milford, Naugatuck, New Haven, North Branford, North Haven, Northford, Orange, Oxford, Prospect, Seymour, Southbury, Wallingford, West Haven, Wolcott, Woodbridge. Bridgeport, Monroe, Newtown, Norwalk, Sandy Hook, Shelton, Southport, Stratford, Trumbull, Weston, Westport.